Arapahoe Basin, nicknamed “A-Basin,” has a long history in Colorado, opening in 1946 as the first ski resort in Summit County. Because of its convenient location via Loveland Pass, and Hwy. 6, A-Basin is easily accessible from a number of locations. Holding the highest skiable area in North America at 13,050 feet, the season starts early and ends late, meaning A-Basin is usually one of the first resorts to open nationally. The mountain is continually improving itself, having built a new chairlift for the 2010/11 season, as well as increasing terrain by 80% in 2007/08 with the 400-acre Montezuma Bowl. At a distance of 96 miles, the closest major airport is located in Denver. Head west on I-70 to Silverthorne, taking exit 205 to turn east onto Hwy 6. Arapahoe Basin Ski Area will be 12 miles down the road. 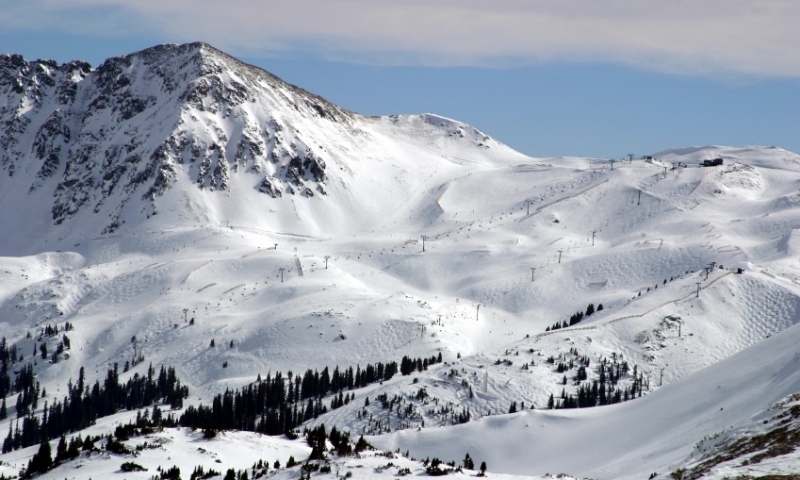 Arapahoe Basin, Colorado, is also accessible through the scenic Loveland Pass, 8 miles after exit 216. If you're already in Summit County, consider taking the free Summit Stage bus, connecting the various ski resorts in the area. Shuttles are also available from a number of different companies. One of the longest ski seasons in the country, A-Basin generally opens in mid-October and is still open and running well into June, weather dependent. Arapahoe Basin is a full-service mountain, complete with ski school, equipment maintenance and repair, rentals, childcare, and kids' facilities. There are retail shops located at the base of the mountain. In addition, there are 6 different locations for dining options both on and off the mountain. One of the most unique aprés-ski parties is located at “The Beach,” also known as the Early Riser parking lot. Located at the base of the mountain, this is a hot-spot for fun activities, including music, festivals and simple gatherings of friends.